Specializing in Orange County. As an additional area of expertise Lisa has recently sold Ranch & acreage properties in in the Santa Ynez Valley surrounding Santa Barbara County. If you have any interest in moving north give Lisa a call. Lisa Karos is a long time resident of California, having lived in the Bay area as well as in Los Angeles and Santa Monica. After a successful career in the marketing and fashion industry, Lisa moved to Huntington Beach in 1987 and shortly thereafter received her degree in Family Studies and Gerontology. Lisa has 3 grown children that all attended St. Bonaventure & Mater Dei High school. Kristin graduated from UCSB in 09' then got her masters in Journalism from NYU in 2011' while Kara Lisa's middle child now resides in Santa Monica. She graduated from USC's Annenberg School for Communication with a degree in journalism 2011. She works for a top Media company OMD. Her son Connor is attended Cal State Monterey and is now working in the Music Industry. Lisa's husband Richard has worked in Orange County in Construction for more than 30 years. Lisa stays very involved in all kinds of community efforts including being involved with Casa Teresa, Reagan Ranch, Young Americas Foundation and Collettes Childrens Home. Lisa is a former Board member for The Huntington Beach International Surfing Museum that sponsoredTeam up for Down Syndrome and was Involved with the Chamber of Commerce Face to Face events and the Rescue Roundup fundraiser’s. Lisa has achieved Platinum Status in 2012' and Lifetime Achivement Award 2018 as well as made the Chairmans club. She was also awarded Buyer's agent of the year and named "Realtor of the Year" She has diligently worked in the Real Estate business for more than 18+ years & is knowledgeable about Huntington Beach and the surrounding communities. She has sold several new home developments, land, income property as well as Residential being her main focus. Her work ethic and dedication to each of her clients is a winning combination. When you are buying or selling property in today's real estate market, it's important to have confidence in your real estate professional. Her commitment as your local Realtor is to provide you with the specialized real estate service you deserve. Her certifications includes CDPE, GRI & AFR. If you are considering buying or selling a home/ranch/estate/or would just like additional infromation about real estate in your area call or e-mail Lisa now. Tuscan inspired Custom Oceanfront Estate has Sprawling Panoramic & Ocean views at Every Level. Use the Elevator to all 3 floors! See the Pier & Catalina directly in front. 3 spacious decks for Ocean Viewing. Dual Pane sliders & quiet sound engineered insulation. This 4000 SF Estate boasts 4 bedrooms, 4 full baths. Entire 3rd floor is master suite. 2 sets of stairs, Custom paint, travertine, marble stone bar & accents. 2nd level features 2 bedrooms, 2 baths, Laundry room, open family room at kitchen looking directly out to the Ocean. Kitchen has an oversized granite island, Thermador appliances, 6 burner stove, wine chiller, Italian wrought iron pantry door, warming drawer & beautiful custom stone kitchen hood. Designer stone in each bath from Eurobath. Master features office, Travertine deck, full ocean views, custom faux walls, chandelier, FP & large walk-in closet. Romantic Bath has marble floors, counters & mosaic accents, 3 inset chandeliers, Oversized rain & steam shower, mosaic design. New Exterior paint, tankless water-heater, 2 custom gates & Flagstone. Attached 4 Car Tandem garage/lots of built in storage/Additional 22' long driveway for 2 cars make easy parking at the beach for 5 cars! You Won't Find Another Custom Residence Like This!!!!!! This One Bedroom, One Bathroom Pierpointe Condo is near Downtown and Huntington City Beach! Rarely on the market and ready for move in. Very serene location with greenbelt views of lush greenery & mature trees just in front of your private patio. This desirable single level corner unit has been remodeled with Stainless appliances, Granite countertops, Travertine backsplash, New kitchen cabinets with 2 Lazy Susan cabinets, Canned lights, a Wine refrigerator as well as a side by side fridge with filtered water and ice. The Travertine floors add a cool beachy vibe to this spacious feeling Condo. The living room has a gas fireplace with fireglass, is wired for HDTV and has upgraded electrical outlets throughout as well as 5" Crown mold baseboards. Bathroom features oil rubbed bronze fixtures, travertine floors, a newer tropical wood vanity with mirror and a granite top. Plumbed for a stackable washer/dryer. The bedroom has good sized plantation doors, custom closet organizers with drawers. One car attached garage. Low association of $382.40 per month includes, trash, water, cable and many amenities! Pool, Jacuzzi, clubhouse and more. Priced to sell! You'll Like This Approximately 776 Square Foot Condo!!!!! New Construction Houses Built In 2018. These coastal contemporary 3 Bedroom, 3.5 Bathroom Farmhouses have locally sourced reclaimed wood, Hardi-siding and white smooth Stucco. More than $300,000 of unique qualities which also include a $60,000 full Home automation package, a Nest WiFi thermostat, premium Anderson Windows and Sliders, a Bi-folding door system, a high efficiency furnace unit and tankless water heater. Recessed lighting, Chandeliers and Pendants are provided by Restoration hardware, West Elm and other top vendors. Gorgeous Kitchen has European style cabinetry all built on-site with quartz and Caesarstone countertops. Bathrooms feature base Grey oak and pewter w/ composite quartz marble style vanities which match the spacious master as well as the “his and hers” closet. Landscape has an oversized front patio with a lava rock fire pit, built in planters and BBQ ready. All of the details make these Home the top new construction premier Homes in Town just 10 blocks to Huntington City Beach. 1002 Has Approximately 3,217 Square Feet Of Living Area!!!!! 1004 Has Approximately 3,285 Square Feet Of Living Area!!!!! Single Level 4 Bedroom, 2 Bathroom Cedarglen Home on a quiet interior street that does not have through access. This Approximately 1,500 square foot Home backs to a School with lots of space. RV access and a sparkling pool are in the back yard. This Property needs TLC! Perfect for an investor/buyer that is handy. Kitchen has been remodeled with Farmers sink. Sliders have been replaced. Both bathrooms have been remodeled. This Home also has AC too for this hot summer. Stone floors need repair but solid wood flooring is very nice. Sound System and Wired For Flat Screen Entertainment System. Large Lot with Pool and Spa with RV Access/Parking with fantastic Private Cul de Sac Location. Note: This Property Is Being Sold As Is!!!!! Live along the Iconic Pacific Coast Hwy with the beach and Ocean waves just steps from here! You found it! Immerse yourself in the active Huntington Beach Lifestyle! Take the elevator to the 2nd floor to the terrace level. This corner unit 2 Bedroom, 2 Bathroom condo on a single level with 1,368 Square Feet! This is one of the largest floor plans in one of the best developments on PCH- This refurbished Mediterranean Harboring Villas Community at 19th Street is the Perfect location & minutes from Huntington Dog Beach. This spacious condo is a quiet exterior location and features an extra large deck with lots of natural light and privacy. Interior features stone fireplace and wet bar, master bedroom with a queen custom Murphy bed and door to the deck. Master bath features soaking tub, new paint, new shades and curtains, mirrors & kitchen lighting. 2 designated spaces in subterranean parking as well as guest parking available. Amenities include a gated community, spa and storage room. Walk/Bike to the Huntington Beach Pier, Main Street and an easy walk to the new Pacific City. Dog beach is only 3 blocks north with 8 miles of biking and walking trails. Huntington Beach also has top-rated schools, and so much more! It's Resort Living Year Around At A Good Price!!!!! This Beautiful 2 Bedroom, 2 Bathroom Pacific Ranch Condo is all on a single level with views of greenbelt and a corner unit!. Great location at back gate. This well designed townhome has vaulted ceilings and spacious bedrooms with 2 decks. Brand new Stackable Washer/Dryer. New microwave, Kitchen Tile Backsplash, Paint, Bathroom Lights & Carpet. A one car garage plus 1 designated parking space. This Community has 3 pools, Jacuzzi's & a wonderful Clubhouse. Besides great amenities, SeaCliff shopping center is just across from the gate. The seller picked this location when it was new many years ago because of privacy & easy access to the back gate. Walk or Bike to Huntington City Beach and enjoy Downtown living & Pacific City at it's best! The Best Feature Is The Approximately 1,079 Square Feet Of Living Area Here!!!!! This is the best-hidden & quiet location in all of the Beachwalk Community. Drive straight into this pleasant highly desired Single Level 3 Bedroom, 2 Bathroom Extended Plan A Home. Only one wall is attached so it feels like a single family Home. Enter into a spacious private courtyard. Family room/living has tall vaulted ceilings, Setillo ceramic tile floors, skylights, a marble fireplace and a custom wood mantle. The back yard can be extended an extra 3 feet (with approval by HOA) A large upper attic with electric power can be used for great extra storage. New Roof, New faucets and toilets recently added. Master room features a large slider, which looks to the back yard. The second bedroom has a private atrium patio - perfect for a fountain. The 3rd bedroom with vaulted ceilings has direct access to the spacious attached 2 car garage. Back of Home has lots of space. This Home is original & awaits your personal touch! Plenty of Guest parking just outside of this fantastic location. Minutes to Huntington City Beach. Straight down 17th Street and walk 7 blocks and you are there! Enjoy Downtown with all of it's Life offered! This Highly desired Beachwalk community has 5 pools including an Olympic sized pool, volleyball court, greenbelts, lots of mature trees and more! Community has been doing upgrades: just painted, new roofs, new fences and new landscaping. All paid through HOA dues. It's Approximately 1,574 Square Feet Of Living Area Is Hard To Find On A Single Level!!!!! Rarely on the market is this best kept secret neighborhood in California Classic that must be seen! This 4 Bedroom, 3 Bathroom is on a Cul-de-sac Corner lot gem with a large front yard that has producing peach, plum, lemon & orange trees. Relax in the Solar heated large pool, Jacuzzi & RV parking side lot which offers additional space for entertaining. New interior paint, New downstairs Porcelain tile floors. Generous downstairs living space has Dramatic Bright feel, cozy fireplace with large bay windows and lots of natural light. Downstairs bedroom, bathroom and inside laundry. Vaulted ceilings, wood plantation curtains and AC. Completely remodeled kitchen that looks at your pool and a custom slate backsplash, cabinets, corean counters & upper wine rack. Wood stairs with custom slate inset. Bright & spacious master suite has dual closets and a remodeled bathroom, AC unit, double pane windows and sliders & newer Eaglelite roof. Near exceptional schools, shopping, dining, easy access to freeways, Downtown and a short bike ride to Huntington State Beach! Pride In Ownership Is A Good Value In This Approximately 2,255 Square Feet Of Living Area Residence!!!!! 2 HOMES ON 1 LOT! This is the 1st time that this home has been on the market for more than 50 years. Here it is... A beautiful Westminster Home with a guest house at back. Large inviting manicured yard has lots of greenery and an upper porch. The long driveway leads to the detached garage which is finished with a 3/4 bath, Cabinetry, desk area and windows. MAIN HOUSE features a beautiful formal living room with custom ceilings, traditional cabinets sit where the formal dining room is. Kitchen is extra large for this plan with meticulous wood stain cabinetry, extra counter seating & a cozy bright corner window nook. Second bedroom has a counter & sink that can be easily be converted to a full bath. 20 x 30 GUEST HOUSE has 1 full bath, Brick Fireplace, bedroom and kitchen. Entrance at back is inviting with a beautiful fountain, separate backyard storage area as well as an added pet or garden greenhouse area. Washer /Dryer is in the garage. Enjoy Two Houses At The Price Of One Here!!!!! This is the darling Beach Cottage you've been seeking! A Bright floor plan with Vaulted Ceilings, White Oak Hardwood floors, Romantic Fireplace, Lots of Natural light. Gourmet stainless steel kitchen appliances, includes a 6 burner DCS range, stainless refrigerator and a Bosch dishwasher. Private front patio and garden make this the perfect Home for entertaining family and friends. Home has been updated with newer double paned windows, six panel doors throughout, and custom tiled showers in all three bathrooms. Downstairs has a great floor plan plus a secluded media room so there's always plenty of room for everyone. 2 car attached garage with 1 common wall with the garage next door, This gives you almost a 2 1/2 car garage. The location is a short walk to all the schools and The City Gym, 5 blocks to the sand and a 10 minute walk to the restaurants and fun of Downtown. This Approximately 1,819 Square Foot Property Has It All, Now Make It Yours!!!!! Wow 2 blocks from the Ocean! Awesome Location. Nothing needs to be accomplished. This 3 Bedroom, 2.5 Bathroom Two Level Home is Immaculate! Great entertaining for family or perfect for part time living. Walk to Main Street, Shopping, restaurants and Pier. New exterior, landscape & new keyless entry. backyard features new landscape, new front & back sliders. Just painted. New 24 x 24 downstairs Porcelain tile flooring. Stunning remodeled kitchen has warm color granite counters, newer stainless DCS Commercial grade stove, custom cabinets and GE profile refrigerator and brand new dishwasher. Spacious family room features a Stone surround fireplace, hearth and a custom wet bar with lit glass designed sink. Master bath features expensive travertine floors, a good sized soaking tub with Glass tile accent shower, dual sinks with blue granite and new cabinets. All bathrooms feature custom granite counter-tops & custom stone flooring. Back yard has garden, plants, grass and privacy. 2 car detached garage has new epoxy flooring, shelving, paint and a keyless entry. Center court yard is perfect for an afternoon BBQ. Large 2nd floor Sunset Rooftop deck has just been redone with 5 year warranty & custom slate covers High efficiency AC unit. Best Of All Is The Approximately 2,100 Square Feet Of Living Area!!!!! This Gorgeous and Immaculate corner lot Huntington Plan 1 Two Level 3 Bedroom, 3 Bathroom Home is located at The Estates at SeaCliff Country Club. Enter into a large private gated entry courtyard which features a soothing fountain with a combo brick/concrete patio. Interior features plantation curtains, French doors, marble flooring, custom paint, light fixtures, ceiling fans & surround sound. Formal dining rm w/vaulted ceiling has direct access to back patio. Stunning kitchen has granite counters, center island with seating, tumbled marble backsplash, newer cabinets, double oven, refrigerator, 5 burner center island stove & a sunny breakfast nook and a walk-in pantry. Upstairs Master suite features a retreat, a large walk-in closet, organizers. Romantic marble master bath includes separate shower and soaking tub and a dual sided fireplace. 3 bedrooms all feature in-suite baths. Hall Loft has a built in desk. Convenient interior Laundry at 2nd level has travertine flooring. Easy maintenance rear yard has lots of Palm Trees, professional landscape and a Gazebo. Attached 2 car garage with added built-ins. Easy walk to The Bolsa Chica Wetlands, the park, the beach as well as award winning SeaCliff Elementary. You'll Get More Than 2,600 Square Feet Of Living Area In This Jewel!!!!! Beautiful and Spacious Top level Immaculate 1900 SF Penthouse has 3 bedrooms & is a Single level condo. Rarely on the Market! This Bayport Double Gated Private Community is West facing with Sunset Views on the PCH Side of the Harbor. VIEWS OF Huntington Harbour, OCEAN & MAIN CHANNEL from your private patio. Walking distance to great dining, restaurants and the beach just across the street. Enter into this very spacious condo through double doors. Remodeled kitchen with custom solid surface counters, Viking appliances, Double Convection Oven & Slide out Kitchen Pantry & Viking Wine Chiller, Separate laundry, gorgeous Hard Wood floors, Gas & Wood Burning Fireplace, Double paned Windows, Fios, Newer Lifetime Roof and Newer AC added. Very Spacious Master Suite with Skylights in the Remodeled Bath. Skylights in every bathroom. This Development is next to Seal Beach & looks at Peter's Landing Marina and docks can be leased at Marina Leasing office. Vacation on a regular basis by the resort like Pool, spa and Clubhouse all with views of the water. HOA takes Care Of Water, Trash, maintenance & Ins. Assoc. Club House, sport Court, Barbecue, & 2 Car Parking in Gated Garage with Elevator in the building for access. This Is A Pristine Property!!!!! Harbor Pacific Bungalow. Absolutley Gorgeous. 1 Bedroom, 1 Bathroom (Studio). Bright and Quiet Location. Downstairs Unit with Travertine Floors. Custom Cabinets with Stainless Appliances. Vinyl Windows. Carport Parking and one additional space. Relax in the Association Swimming Pool and Spa. Move In Ready. Motivated Owner. Just across The Street is Sunset Beach. It's Not In The MLS. Act On It Now!!!!!!!!!!!!!!!!!!!!!!! Welcome to the Resort of Bayport. Your best value in Huntington Harbour for this spacious 3 Bedroom 1,900 Square Foot Single Level Condo. Double Gated Private Community Is On PCH Side Of The Harbor & Rarely on the Market. Leeward side Harbour means you can sit on your waterfront balcony year round with minimal wind. Moments to Peter's Landing with great dining, restaurants and The Beach just across the street. Enter into this very spacious Condo with double doors and 180 Degree Views. Ocean, Harbor & Mountain Views From Living Rm, Kitchen & Family room. Enjoy the panorama of the full frontage main channel and Ocean air on your spacious Balcony with uncompromising Views at this top floor unit. Master suite boasts a spacious bath with double sinks & large walk in closet. Each bedroom has its own bathroom. Skylights in every bedroom. The entry hall has built in bookcases. 2 of the 3 bathrooms are fully remodeled. It also looks at Peters Landing Marina and docks can be leased at The Marina Leasing office. Vacation on a regular basis by the resort like pool, spa and clubhouse all with views of the water. HOA takes Care Of Water, Trash, maintenance & Ins.Assoc. Club House,sport Court, Barbecue. 2 Car Parking In Gated Garage with Elevator in the building for access. This Is Resort Living Year Round At It's Best!!!!!!!!!!!!!!!!!!!!!!! This Custom home has been designed with award winning craftsmanship, warmth & charm! Bike/Walk to Huntington City Beach. It Has The Best Location In This Prime Area!!!!!!!!!!!!!!!!!!!!!!! Beautifully appointed Tri-Level Huntington Harbour 4 Bedroom, 3 Bathroom Home completely remodeled June 2013' The owner of this property spared no expense! Lots of light & bright windows show you the luscious back yard. Gorgeous kitchen boasts a large island that seats 4 people w/extensive use of Blue River granite, top-of-the-line Custom-built cabinets, latest high-end appliances including split side by side refrigerator, range w/glass & brushed nickel hood w/ flood lights, microwave convection oven & dishwasher. Fireplace is a high-energy clean burn w/travertine & limestone accents. Master suite deck has views of yard, large walk-in closet by Closet World & luxurious & relaxing bath w/whirlpool air bubble Jacuzzi, Travertine shower, Italian tile accents, bidet, custom made maple vanity w/rectangular under mount sinks & high-end granite. All bathrooms are finished w/fancy Italian porcelain & glass enclosed showers, granite counters & solid wood vanities. 2nd floor laundry room w/custom made cabinets & large sink. Distressed hard-wood Acacia flooring, teak finish. Soft breeze color carpet, Dbl-Paned Milgard windows, patio doors, entirely new heating system, 50 year roof & Heritage Garage door. Beautiful iron staircase in bronze polish with Romeo & Juliet as well. It Is A Good Sized Approximately 2,583 Square Foot Home!!!!!!!!!!!!!!!!!!!!!!! THIS CONDO CAN BE CONVERTED TO 2 BEDROOM , LARGE 1 BEDROOM WITH A DEN. Excellent Pointe Surfside bright floorplan all one level has vaulted ceilings. This unit is a Penthouse top floor unit near the elevator. Shows very light. Large Master Bedroom with door leading to private patio, mirrored wardrobes, closet organizers. Master Bath has new tub, fixtures and stone features as well as a skylight. Pergo flooring, Corner fireplace connected at living room and den. The Den makes a great office with built-in wall unit and wet bar. Kitchen with updated appliances, garden window and skylight. Large front patio for BBQ and relaxing listening to the sounds of the streams below. Inside side by side laundry, extra storage space on 2nd patio. Just a mile to The Bolsa Chica State Beach, near shopping & Huntington Harbour. This community is beautifully landscaped with waterscape features & flowing streams, cool ponds & lush foliage. There is one covered parking space and an abundance of guest parking in this security gated complex. Walk to Brightwater trails " Complex offers pool,spa, tennis, clubhouse. Water and trash paid by HOA! This Property Has Approximately 939 Square Feet Of Living Area!!!!!!!!!!!!!!!!!!!!!!! The Villas at SeaCliff a Townhome development that was built in Huntington Beach in 2008! This is one of 19 Townhomes in The Villas at SeaCliff. Highly upgraded, Bright floor plan. Great Sunny & Private Location in back of the development has 3 Bedrooms - 2.5 Bathrooms - Gourmet Kitchen with Beautiful Granite Counter tops, Stainless Appliances, Upgraded Cabinets, Oven range, Microwave & Granite Breakfast Countertop. Nice Master Suite with walk-in closet by closet designs. Living Room features Custom Mosaic fireplace & With a Mangowood Mantel. Attached Good sized 2 Car garage with Custom Automated Bike Rack. Energy Star. AC installed for the Hot Summer. Fios Internet as well as owned ADT Security System. Enjoy your private outside patio with Fire-pit Table. Steps to Seacliff Shopping Center for all of your conveniences, Near parks, schools, Main St & Beach! Walk to watch the 4th of July parade just a few blocks from here to Main St. Low Dues. 165.00. It Has Pride In Ownership!!!!!!!!!!!!!!!!!!!!!!! Amazing Panoramic Ocean View Condo. Views from Catalina to Rancho Palos Verdes as well as beautiful sunsets daily from Upstairs & Downstairs Balconies. This 2 Bedroom, 2-1/4 Bath 1180 + SF condo has custom designed upgrades throughout the Interior with crown and base molding. Custom Entertainers European Kitchen features granite counters, iridescent Tile backsplash & top of the line appliances. Floating 3/4" tempered glass built-in dining table, living room fireplace with marble surround & hearth. Wired for HDTV/Cable/Satellite & Surround Sound. Master Bath has full ocean view deck & a custom designed walk in closet. Bath includes a large glass encased shower, Italian wood cabinetry with a stainless steel counter top. 2nd bedroom has a modern newer designed custom bath. Also there is an upstairs full-size stacked washer and dryer. Exterior Patio features Slate floors and slate tiled half-wall Two parking spaces gated with Subterranean parking at the secure garage which includes storage & bike rack. Excellent location just a short Walk to Dog-Beach, The Historic Huntington Beach Pier, Downtown Huntington Beach . You'll Like The Value That You Get In This Prize Property!!!!!!!!!!!!!!!!!!! This famed Edwards Hill Two Level Estate features a 16,000+ SF Double Lot! Not only is there a park like front yard but the back yard is large enough to build a second home or a Guest Casita and still enough room for a tennis court or pool. This 5 bedroom, 4 Bathroom west facing Hamptons Hearthstone model has a very desirable floor plan with soaring ceilings, a spacious living room, separate dining room & downstairs study with full bath and bathroom. Kitchen features granite counters, a double oven & direct access to sprawling back yard. Custom wood cabinetry closets throughout. 3 Fireplaces, Italian tile flooring, Master bedroom is the largest of all Hampton plans with lots of light. Master bath has dual sinks, separate jacuzzi tub & shower and direct access to a private deck and large walk-in custom closet. The 3 car garage has a retreat area with built in TV area & custom cabinets Less than a mile walk to Huntington City Beach, Huntington Central Park Equestrian Center,Central Park , local riding stables or to the award winning SeaCliff Elementary school. Owner has priced this lovely home pertaining to location . Horse trails run directly behind property. You'll Get Approximately 3,575 Square Feet Of Living Area Which Makes This The Best Deal In This Area!!!!!!!!!!!!!!!!!!!!!!! Gorgeous Edward Hill Rosewood Two Level Hampton 5 Bedroom, 4 Bathroom Model is an Estate rarely on the market in the exclusive area of Edwards Hill. This home is 0.8 miles from Huntington City Beach and sits on a good sized 14,380 Square Foot lot. that backs to a cul-de-sac. The backyard gets perfect afternoon sun exposure & features a custom rock waterfall saltwater pool, spa as well as a spacious grotto with a sound system, seating, BBQ, Bocce Court and lots of grass for entertainment. Entertainers remodeled kitchen has custom granite counters, cabinets and views of the expansive lot. Downstairs bedroom and bath, separate Living and Dining area feature new carpet, volume ceilings with a palatial feel. Upstairs mater suite has a romantic fireplace, dual sinks, jacuzzi tub and separate shower & private balcony. New hardwood floors, upstairs laundry room, Dual AC unit with 2 zones. This home & exterior is very private with gated entrance and courtyard. This is the nicest manicured street in Huntington Beach! This Property Has Approximately 3,660 Square Feet Of Spacious Living Area!!!!!!!!!!!!!!!!!!!!!!! Very Cute 1 Bedroom, 1 Bathroom Beach Cottage Home on a nice sized lot. 11 blocks from Huntington State Beach! Here is your opportunity to build or enjoy this adorable Beach Abode with a wonderful front yard. It Is Royally The Best Deal In This Location!!!!!!!!!!!!!!!!!!!!!!! A STUNNING HOME! This newer modern Downtown Huntington Beach Three Level Home is beautifully staged and ready for move in! Upgraded European fixtures throughout with soaring windows.LIGHT & BRIGHT FLOORPLAN. 3200 SQ FT. makes this larger than your average home at 27' x 125' 3 spacious bedrooms + upper loft Bonus room. Additional Square Footage. may be added also to 3rd Floor decks. Custom paint, Stone custom floors, High soaring ceilings, dual sliding doors, aluminum windows, 2 fireplaces Pre wired for surround sound at 1st level. Formal dining room has access to atrium & wood deck. Truly a chefs dream kitchen with European Cesar stone counters, German cabinetry, Bosch stainless steel, large counter space appliances & more. Grand Master suite has modern fireplace, Custom blue stone accent bath & dual showerhead with spa tub. Jack & Jill secondary bedrooms with modern custom cabinetry. Peek-a boo Ocean & city view from 3rd floor deck. Must see to appreciate. It Is The Nicest Constructed House Currently On The Market!!!!!!!!!!!!!!!!!!!!!!! Very clean 4 bedroom 4.5 bath Oceanview Downtown Three Level Home only 2 blocks from the Ocean! Custom gate takes you to private yet sunny enclosed tropical patio off separate living room. All upper bedrooms have their own bath. New windows, carpet, & paint make for move in ready. Spacious Kitchen has granite counters, stainless appliances, gas stove & garden box window. Master bedroom has vaulted ceilings, romantic fireplace, 2 closets and large sprawling oval windows for lots of light. Remodeled master bath has separate Jacuzzi tub, shower with stone accents. This beautiful home has a separate top deck Bedroom /Bath that can easily be used as separate rental property or guest quarters. Sit on the exterior at either the lower front or back patio and breathe in the Ocean Air or bask in the sun with your ocean view from the spacious top deck. Walk to Huntington City Beach and Main Street Shopping. You Get The Best Priced Approximately 2,682 Square Foot Home There Is Here!!!!!!!!!!!!!!!!!!!!!!! Here is your stunning upgraded plan 4 Westport Estate in the guard-gated community of the Peninsula! This beautiful 4 Bedroom, 3 Bathroom Two Level Home sits on an huge sized private lot with tropical pool spa & natural gas Built in BBQ. Gorgeous Travertine entry, custom Mirabou wood flooring, upgraded neutral toned carpet, Custom window coverings, custom designer faux treatments, Dramatic Volume ceilings in the formal dining room. Enjoy cooking in this amazing Entertainers gourmet kitchen that has it all. Granite island, Cherrywood cabinets, full granite backsplash, new Thermador refrigerator, stove & microwave, dual ovens, trash compactor & wine chiller. Dramatic staircase takes you to 3 bedrooms then a pool view separate master suite. Walk-in closet & elegant bath with dual sinks and separate shower. 3-car garage with custom flooring, New dual AC & heater system with custom digital control pads, alarm system, Malibu lighting & beautiful landscape front & rear. Exterior of home was just painted. Walk to Huntington State Beach and Discovery Well Neighborhood Park. 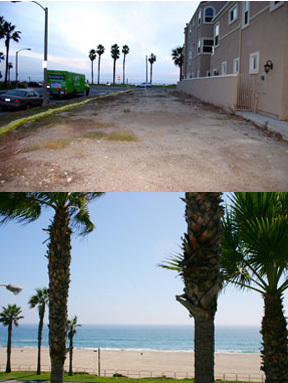 RE/MAX SELECT ONE This Is Such A Prime Oceanfront Corner Lot In A Pristine Location Of Huntington Beach. 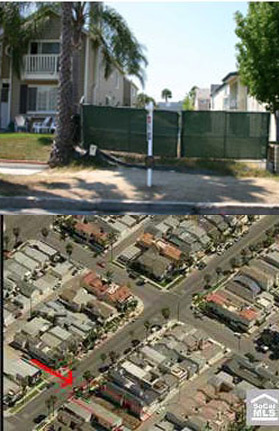 It Is The Final Available Corner Lot In All Of Huntington Beach. You Can Build Your 4 Bedroom, 4 Bathroom, 3,700 Square Foot Home With Full Ocean Views. It's Zoned SFR Which Means Single Family Residence. The Extra Long Lot Is 160 Feet Long And It's Estimated For A Four Car Tandem Garage And Driveway. The Pier And Shopping Are Within Walking Distance. Builders, Developers, Investors, Owners Act Now!!!! Here it is: your unobstructed Ocean View from almost every window! Very private Tuscan Villa Estate boasts utmost elegance and romance. Faux treatments, travertine flooring, arched windows & custom wood molding throughout just to name a few. This hillside lot will never have homes in front. Compare this to the famed Post Ranch Inn at Big Sur with the utmost in privacy and luxury in Laguna Niguel's best location. Gracing an expansive, nearly 11,000 square foot lot, features 4 bedrooms, 4.5 baths, a professional-grade gourmet kitchen, expansive family room and formal dining and living salons. This is the ideal tableau from which to experience indulgent everyday living or gala entertaining - indoors and out. Not to be missed are the opulent master suite with spa bath, spacious sitting room and fireplace, large wine cellar, full bar and library. All of this in exclusive guard gated Laguna Sur. What More Could You Want In An Approximately 5,378 Square Foot Custom Residence!!! Wonderful, bright, modern & newer built in 2008, Three Level Downtown Huntington Beach Home with very expansive floor plan. This Home was designed by an award-winning Swiss architect. More than 3,300 SQ Ft. of space with 4 bedrooms and office upstairs at 2nd level. 3rd floor offers loft and bonus room which takes you to the gorgeous exterior deck. Truly move-in condition. Custom stone flooring, High ceilings, tankless water heater, aluminum windows, lots of sliding doors, First level is prewired for sound & offers upgraded European fixtures throughout. Formal dining room offers access to atrium courtyard. Entertainers delight kitchen with European quartz stone counters. Breakfast nook & Bosch stainless appliances. Front-facing master suite has romantic fireplace with upgraded bath, blue tile stone & dual showerhead & spa tub. Spacious secondary rooms have organizers. 3 different entertainer patios to relax. Wonderful city lights view from 3rd level deck! Walk to Main Street Shopping and Restaurants. Also to Huntington State Beach. Act Now On This Very Well Constructed Property!!!!!!!!!! Absolutely Gorgeous 3 Bedroom, 3.5 Bath, 2 Story Ocean Pointe Home This Highly Upgraded Executive Home Offers Beach Living at its Finest! Fabulous Floorplan & Amenities, 2 Master Suites w/Jacuzzi Tubs, Family Rm., Granite Kitchen Countertops, Rooftop Terrace w/Spa, Private Landscaped Courtyard,3 Fireplaces, Clean, Move-in Condition. Great Downtown Location...Just 6 Blocks to Huntington City Beach & near Parks, Schools, and Main St. Shops & Restaurants! This Magnificent Property Has Approximately 2,692 Square Feet Of Living Area!!!!!!!!!! It's a Wonderful plan 2 in the gated community of Seacliff on the Greens. Polished travertine at entry with steps up to livingroom. Volume ceilings. More than 2,000 Square Feet makes this very spacious. 2 bedrooms with a loft which can be used as a 3rd bedroom. Newer stainless gas stove, oven, trash compactor and matching microwave. Custom granite counters. Master bedroom has spa tub with 2 separate vanities & shower. Private balcony with lots of foliage off master bedroom. In house intercom/stereo & security system. 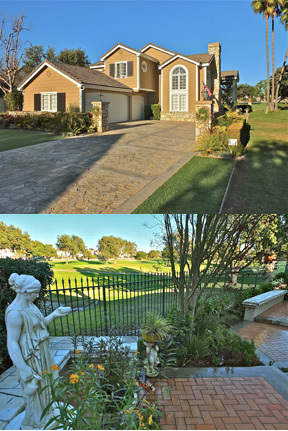 Great location and just a short distance from the pool, golf, tennis and SeaCliff Country Club. Walk to The Bolsa Chica State Beach. Mr. Clean Does Live Here!!!!!!!!!! Exclusive Cul-de-sac Deane Gardens Four Bedroom, Two Bathroom Two Level Property that is rarely on the market! This is a great entertainers delight and is near PCH & Schools. Main 500 SF master bedroom has remodeled bath and separate private patio. Great Privacy From Neighbors & Street. Extra High walls. One Of The nicest family neighborhoods around! Open floorplan & private Atrium can be viewed from most areas of home. Largest Model with beautiful lush garden atrium which accompanies waterfall & landscaping. 300sqft Permitted sunroom For office, gym, or storage. You Get All Of This And Approximately 2,475 Square Feet Of Living Space Here!!!!!! Awesome Oceanview condo with one of the best locations on PCH. Relax at the deck and view sunsets from Catalina to Palos Verdes. Take the elevator or stairs to this 2nd level Two Bedroom, Two Bathroom Condo that has Approximately 1,174 Square Feet of Living Space. Completely remodeled with new granite counters and birch wood cabinets throughout. New Hardwood brazillian floors as well as marble flooring at entry & Oceanview deck. New bathrooms with Stone shower & tile accents. This property is truly in move in condition. Each bedroom has it's own bath. Perfect for a 2nd property. Security building Subterranean parking. Inside Laundry, water softener & water filter. Walking distance to Downtown Huntington Beach, You also get 7 Miles of Beach walk in front of you! The Best Of "Ocean Breeze" Complex Could Be Yours!!!!!!!!! This Amazing Sunset Beach 3 Bedroom, 4 Bathroom Residence has beautiful Ocean & Huntington Harbour Views! Steps to the sand, great restaurants like Gyro Kabob and Harpoon Harry's as well as shopping. No expense spared on this newer construction. Recently remodeled in the last year. Watch the sunsets from the 1,000 sq. foot roof top deck. Catalina views, The Huntington Beach Pier and the Harbour. An elevator takes you to all three floors and an electric dumbwaiter supplies the rooftop deck to the kitchen. Open and spacious Kitchen, Dining and Living room. Gourmet kitchen with granite countertops, backsplash, center island w/built in range hood, wine rack and stainless steel appliances. Huge master suite with fireplace and luxurious bath. Surround sound system. A tremendous opportunity to live in Sunset Beach. Best Of All Is The Quality Of This Approximately 3,200 Square Foot Custom Showplace Property!!!!!! IDEAL FOR LARGE FAMILY /with guest quarters. Custom unique one of a kind Home on 2 lots has 5 bds/5 bth on 11,000 SF lot frontage. Completely remodeled this year. 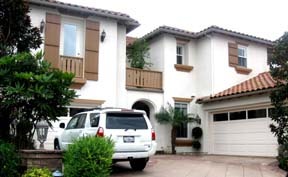 3 separate staircases, kitchens, laundry, heating systems etc.. Upper 2 decks lead to Ocean view & Bolsa Chica Wetlands. Kitchen and Upstairs Gourmet Working Bar include Brazilian granite, GE profile appliances, and custom cabinets. 3 fireplaces, Life time custom danmer wood shutters, Bellagio doors throughout, energy efficient windows, workout room and more. Back Yard has separate luscious garden with oversized banana trees, lemon, lime, orange, fig tree , apple, tangerine & Avocado trees. New Outdoor BBQ Island & path take you to Blue custom pebble Tec saltwater pool, waterfall grotto and spa. Back Large outdoor deck looks down at pool outdoor bath shower. 9 CAR PARKING 20 x 30' solid copper garage, 45'x50' driveway as well as RV parking. Brand New designer flagstone, glass railings & copper fixtures. You Must See This Property Now!!!!!! Great Beach Location! Vista Catalina: 2 bedroom 2.5 bath. VERY CLEAN and move-in condition. Newer remodeled kitchen with granite countertops, travertine tile, cook top stove, microwave, dishwasher, refrigerator andnewer tile flooring. Downstairs patio has backyard area with newly installed artificial grass also with Peek-A-Boo Ocean view. Living room boasts fireplace with mantle and wood flooring. Large built-in mirror at stairwell leads you to 2 master suites. Upstairs spacious walk-in closet, beautiful newer remodeled master bath with oversized bathtub, granite countertops and custom tile design. Enjoy the Ocean Air off off master bedroom Balcony. Washer and dryer are included in downstairs bath. 2 assigned parking spaces, gated community, pool, spa, walk across the street to the Sandy Beach or 10 short blocks to Pier, Downtown or Hyatt Regency. It Is The Best Bargain On The Coast!!!!!! This Property Has Approximately 4,682 Square Feet Of Spectacular Living Space!!!!!! See this Price! 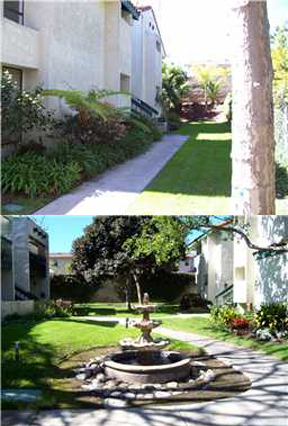 This3 Bedroom, 3 Bathroom unit does not have HB City Restrictions. Newer Townhome Development in great convenient location just adjacent & walking distance to SeaCliff shopping center. TUSCANY AT SEACLIFF has all upgraded amenities such as Viking appliances in the kitchen with Granite and Stone accents in the bathrooms. Extra tall 2 car attached garage brings you into a very quality spacious townhome. Too many upgrades to mention. Builder added all of the luxuries. Wired for Security, AC, surround sound, fiberoptics Great investment with a 10 year builders warranty & low HOA of $140 pr mo. It Has Lots Of Builder Qualities!!!!! Wonderful single story 4 Bedroom, 2 Bathroom inside tract location home in highly desirable Dutch Haven Marina neighborhood. Less than 2 miles to beach with easy access to freeways. Walking distance to award winning Marine View Junior High School& Hope View elementary school. Home features New Paint, New Carpet Newer french vinyl windows, custom paved stone driveway and front of home. Newer Brick walls in backyard. It Has Been Well Manicured!!!!! Enjoy it all in this 2005 newer built Tuscan inspired home First block with wonderful ocean views and breeze at your doorstep. Ocean views from Downstairs, Master Bedroom & 3rd Floor bedroom. Walk outside your door step 100 steps and you are there at the sand. Custom Polished Travertine throughout. 3 Custom fireplaces. Gourmet kitchen has granite counters, Viking appliances and custom cabinetry. Surround sound, AC alarm, 2 car attached garage, inside laundry. 2nd floor takes you to spacious family room and Master Bedroom with romantic fireplace, OV balcony and spa like bathroom/jacuzzi tub/large walk in closet. 2 additional bed/bath are at opposite end of home. 3rd Story bonus/entertainment room is used as bedroom with full bath & direct access to outside Ocean view deck. Walk 2 blocks down to the local convenience market not to mention a short stroll to all of downtown in its entirty. Lots Of Pride Shows Here!!!!! Huntington Beach RE/MAX SELECT ONE SOLD!!!!! Gorgeous Expanded 3 Bedroom, 2 Bathroom Cal Classic Home. Custom exterior bay windows. Lateral Brick driveway. Newer composition shingle roof. New dual AC forced air. Newer dual paned low E dual efficient windows and sliding doors with custom tint. Custom Saline pool with 8' raised round spa & multi level bench. Outdoor BBQ Island wth stainless steel BBQ and refrigerator. Newer custom designed kitchen with natural maple cabinets, Granite counters, GE Profile appliances, trash compactor, reversed osmosis system. New electrical devices throughout. Walk to The Bolsa Chica Wetlands, Award Winning Schools, Shopping, Meadowlark Golf Course and The Beach. Pride In Ownership Prevails Here!!!!! RE/MAX SELECT ONE NOW LEASED!!!!!! Enjoy the beach life in this awesome Oceanview 2 Bedroom, 3 Bathroom condo with sweeping Oceanviews from HB Pier all the way to Palos Verdes. Great high quality Beach contemporary corner unit is very spacious and bright feeling with Front and side Ocean Views. Brand new Bathrooms, kitchen, carpet, solid custom doors, painting and more. Landlord is in process of completing window treatments and installing new shower doors. 2 spaces in subterranean parking garage. Refrigerator, W & D included. IT'S NOT CURRENTLY ON THE MARKET!!!!!! If you are 55 and older Look at this very best value in Fountain Valley. This was the Model for the development. Located in the midst of Fountain Valley. Newer contruction built in 2004. Looks and feels like SFR! Quiet End Unit Private Cul-de-sac. Tile roof, Steel Frame Almost 2,000 SF 3 bth/ 2 baths/2 car garages attached. Dual pane windows, AC, Living room & fireplace with high ceilings. Kitchen has custom built in pantry, Corian counters Large master suite with walkin closets,mirror and Spa like bath with Oversized tub. Several upgrades include over 70k in natural Walnut hardwood flooring, finished epoxy garage floors & cabinets, overhead speakers, alarm sys. custom paint, Custom Drapes & handycap chair at staircase. HOA Club House, greenbelt & outdoor FP and BBQ /Pool/jacuzzi. Enjoy without doing all the work! Located Near the Freeway. Business, Shops, Restaurants, Entertaining and Minutes to Huntington Beach. This Property Shows Very Well!!!!! RE/MAX SELECT ONE THIS SOLD AS A BANK SALE!!!!!! Lovely Is The Word That Best Describes This Single Story Fernhill Home. It Has Many Upgrades. There Are 3 Bedrooms, 2 Bathrooms And Approximately 1,390 Square Feet Of Living Space. Amenities Include: Italian Tile Floors, Berber Carpet, New Counters, A Tile Fireplace, An Extra Walk-In Closet, Mirrored Closets And An Italian Tile Shower. There's Even A Private Patio With A Spa. Your Bonus Is A 2 Car Attached Garage. Best Of All This Property Is On A Corner So You Share Only One Wall With A Neighbor. Walk/Bike To The Beach And Huntington Harbour. Near Meadowlark Golf Course And The Norma Brandel Gibbs Butterfly Park. This Place Shows Very Bright!!!!! You'll Love The Prime Location When Purchasing In Tuscany At Seacliff. There Are A Total Of 28 New Townhomes That Were Built Here And 16 Of Them Are Still Available For Sale. This Highly Upgraded Model Home Features Viking Appliances, Granite Stone Countertops And Much More. The Model 1 Has $10,000 Dollars In Custom Hardwood Flooring. You Get 3 Bedrooms, 2.5 Bathrooms And Approximately 1,541 Square Feet Of Living Space. All Of The Upgrades That You See Are Included In The Price. You'll Even Get A 2 Car Attached Garage And More. You're Near Seacliff Shopping Center And Excellent Schools. Take Note: This Is The First New Home In This Development In Huntington Beach That Has Fiber Optics!!!!! Great Expansive Seagate Waterfront unit with several upgrades. Can easily be made into 3rd bdroom with downstairs office -full mirror to mirror closets. Completely upgraded/fabulous. Enclosed courtyard takes you to one of the widest places in the lagoon at sunny side with lasting sunsets. Completely remodeled kitchen with granite counters, newer dishwasher, Stove, mircrowave & refrigerator. Custom lighting and stone entry arch & Water feature. Marble floors with custom fireplace give this unit an elegant feel. Bathrooms have new lighting, faucets,& treatments. Newer double paned windows Security, scraped ceilings and exterior slate decks. Seagate has 2 tennis courts, 2 pools, 2 clubhouses. Just An Easy walk to the main channel and a private sandy beach. You Need To See This Remodeled Place To Appreciate It!!!!! A Rare Find! Downtown 2-story townhouse style duplex. A 5 minute walk takes you to downtown Main St or enjoying the surf at the beach. Owners unit is 2/2 bath with direct garage access & several upgrades which include: newer carpet, ceramic tile, upgraded downstairs bath, designer railing at stairs & kitchen with granite counters, staineless appliances & more. An additional 900 Sq. feet max. can be easilly added to this unit above garage. Duplex includes 2 garages/ 2 parking spaces at back alley. Great property to reside at exchange into! What A Deal It Is For A Duplex!!!!! RE/MAX SELECT ONE THIS PROPERTY IS NOW LEASED!!!!!! Great Catalina Oceanpointe 3 Bedroom, 4 Bathroom home just blocks from the beach. Very bright open floorplan. Two Masters accomodate bathrooms with jacuzzii tubs and marble throughout. One of the huge master bedrooms accompanies customized desk and book shelving. A bathroom for each bedroom makes this one of most popular floor plans. Third floor has jacuzzi and sundeck. Granite countertops, 3 fireplaces, french doors Tropical landscaped courtyard & waterfall at front of a very quiet area of downtown. The House Is Very Spacious!!!!! RE/MAX SELECT ONE IT'S NOT CURRENTLY ON THE MARKET!!!!!! Rarely on the market sprawling full 3 Bedroom, 2 Bathroom Oceanview Vista Catalina Penthouse! An utmost magnificent Corner Lot - forever Oceanviews Sprawling from HB pier to Palos Verdes. Full OV of Catalina. 2 seperate decks with Ocean view from study, livingroom, kitchen and Master suite. Looks and feels as if you are in a European Estate with comfort and elegance. 3 fireplaces, Artful architecture with the finest wood quality cabinets and flooring & custom lighting. Solid Brick treatment with double gaggeneau ovens. Solid custom Birdseye maple cabinets and granite counter tops. Bath completely remodeled with new sink, baths and fixtures. New 3-tier thermostatic wine chiller at wine bar. New wiring throughout. New custom lighting. New Wood floors. Faux treatment and designer paint throughout. Must see to appreciate. Subterranean parking with 3 spaces. Best local in garage. It's The Nicest Penthouse On The Market On PCH!!!!! Located In The Gated Community Of The Bluffs At Edwards Hill Is This 5 Bedroom, 5.5 Bathroom Plan 300 Two Level Home That Sits On A 9,000 Square Foot Lot That Has A Rock Waterfall. Each Bedroom Has A Bathroom. There's Even A Separate Guest Suite And A 3 Car Garage. It's Not In The Multiple Listings Yet, So Inquire On This Now!!!!! RE/MAX SELECT ONE You'll Enjoy Purchasing This Spectacular Ocean Front Property Which Has One Of The Best Locations In All Of Huntington Beach With Views Of Catalina, The Pier And Endless Ocean Views. This 4,000 Square Foot Residence Has It All. From 4 Bedrooms And 4 Bathrooms To An Elevator That Leads To All 3 Floors. The Second Level Kitchen Is Awesome. It Has Granite Counters As Well As Viking Appliances. There Are 3 Spacious Decks Of Unobstructed Ocean Views. A Barbecue Is At The Second Level. Relax In A Jacuzzi In The Courtyard And Park In The 4 Car Attached Garage. Truly It Is Better Than A Resort!!!!! A Must See!!!!! What a great place to live! This corner Ocean view estate has forever Ocean views! Views! Views! Views! Next to new 2005 Oceanfront Estate between 16th & 17th St. Spectacular Ocean Front Custom 4,000 SF home with Ocean views at all 3 levels. 4 Bd. 4 full Bths. 3rd floor is all master. Sound Engineered walls & Dual Glazed windows. Kitchen features Thermador appl. custom stone hood, 4-car attached tandem garage/extra long 22' driveway. private Elevator plus 2 staircases to all levels. Top of the line everything. Flat Screen Plasma and Sterio surround sound throughout. Fully furnished Tommy Bahama style or negotiable. You Can Lease It Now!!!!! Magnificent And Next To New Full Oceanfront Studio In A Million Dollar Location Home Site Facing A Full View Of The Pacific Ocean. You Even Get Access To The Swimming Pool And Spa. This Place Is Fully Equipped And Comes With A Washer/Dryer, Granite Counters In The Kitchen And Full Bathroom And Designer Faux Paint Throughout With Custom Wood Floors. The Studio Is Partially Furnished. It's The First Time Available. The Private Entry And Stairs Take You To This Detached Single Family Residence. No Pets Please. Just Across The Street Is The Beach And Near Shops. It's Ideal For A Part Time Person To Experience Professional Living!!!!! Awesome Is The Word That Best Describes This Level Downtown Huntington Beach Home. There Are 3 Bedrooms, 4 Bathrooms And Approximately 2,300 Square Feet Of Living Space. Amenities Include: A Gourmet Kitchen With Granite Counters, Travertine And Crown Moulding Throughout, A Great Family Room, A Living Room With A Fireplace, A Formal Dining Area, A Master Suite That Has A Work Station, A Fireplace And French Doors That Lead To The Balcony. The Large Third Story Suite Has A Gaming Area And Storage. Relax In Your Finished Back Yard With A Fountain. You'll Even Get Inside Laundry And A 2 Car Detached Garage. Situated In An Excellent Location That Is Just One Block To The Sand And Just Steps To Downtown Restaurants And Choice Shopping. Pride In Ownership Says It All Here!!!!! This Expanded Two Story 5 Bedroom, 3.5 Bathroom Landing Pool Property Is An Exceptional Home With A 3 Car Garage And A Huge Lot Of More Than 10,400 Square Feet. The House Has Approximately 2,549 Square Feet Of Living Space. Amenities Of The Open And Spacious Floorplan Include: A Downstairs Bedroom And A Tree Lined Back Yard That Has A Swimming Pool. Best Of All Is The Cul-De-Sac Location With The Most Awesome Neighbors And You're Near The Bolsa Chica Wetlands. You Have The Potential To Expand The Existing Residence Here!!!!! This Is My Newest Listing. It's A Wonderful Beach Close Single Story Condo That Offers A Very Open Floor Plan Consisting Of 2 Master Suites, 2 Bathrooms And Approximately 1,000 Square Feet Of Nice Living Space. Amenities Include: A Private Newly Landscaped Tiered Yard With Water Features And 12' Tall Walls All Around The Back And All Of The Kitchen Appliances Have Warranties Through January 2010. Enjoy New Maple Cabinets With Granite Slab Counters, Double Paned Windows, Anderson Hardwood Flooring Throughout, A Jacuzzi Tub In The Master Suite, Ceiling Fans In All Of The Rooms, A Full Size Weber Grill And Custom Pot Rack Come With This Purchase Along With An Inside Extra Large Capacity Maytag Washer And Dryer. Walk To City Hall And Shopping At Seacliff. It's Too Nice To Stay On The Market!!!! Hurry!!!! Here's A Property That Must Be Seen To Appreciate!!!!! It Is A Highly Upgraded Single Story Home That Has A Unique Decor. There Are 3 Bedrooms, 1.75 Bathrooms And Approximately 1,279 Square Feet Of Living Space. Special Amenities Include: A Spectacular Kitchen With A Glass Block, Granite Countertops On Top Of The $70,000 Dollars In Venetian Plaster Accents And Upper Lighting Design, Stone Designed Flooring, A Newer Garage Door, A Water Softener, Extra Recreational Vehicle Parking On Both Sides Of The Quiet Cul-De-Sac And A Large Pool Size Backyard. Enjoy The Crown Molding Throughout In Addition To A Designer Bathroom With A Stone Design And A Skylight With A Spa Tub. Walk To A Neighborhood Park. Near Schools, Shopping, The Beach And Many Local Freeways. The Property Shows Like A $2 Million Dollar Chateau!!!!! Spectacular Is The Best Word Used In Describing This 3-Story Ocean Front Custom Home. The Entertainer's Delight Property Comes With 4 Bedrooms, Four Bathrooms And Approximately 3,800 Square Feet Of Living Space. Amenities Include: Granite Countertops, Custom Cabinetry, Designer Carpet, Travertine Flooring In The Third Level Master Suite Which Also Has Custom Tile And Marble Fireplace. There Is Even A 4 Car Tandem Garage. You'll Like The Private Elevator Which Is Pre-Wired For An Alarm, Camera Or Speakers Sound. Walk To Downtown Shopping And Restaurants. You Must See The Views From Every Floor!!!!! This Is The Only Condo Available In This Fabulous Medeterranean Harbor Pointe Complex. It Is A One Story Unit With 2 Dual Master Suites Located Less Than One Mile Walking Distance To The Ocean. It Sits In A Quiet Location With A Private Courtyard. Located Near The Association Swimming Pool. You Have No Neighbors On Either Side Of You. There's An Inside Separate Atrium Room In Addition To Such A Large Separate Patio Area. You'll Like The Inside Laundry, Volume Ceilings, A Fireplace And Lots Of Light And Brightness. Your Bonus Is A One Car Garage And An Additional Parking Space. You Pay Just $190 Dollars A Month In Association. It Would Be Ideal For A Senior!!!!! Experience An Unrivaled Beauty With Luxury, Quality And Style While Viewing Panoramic Sunsets. It Looks Like Your Living In A European Estate With Comfort And Elegance. The World Class Compromising Artful Architecture Has The Finest Wood Craftsmanship, Ceilings, Finishes And Amenities. There Is A Special Faux Treatment And Designer Paint Throughout This Property. Enjoy Approximately 1,500 Square Feet Of Living Space With Full Ocean Views And Spacious Decks. It's An Upper Corner Lot Penthouse. There Is More Than $100,000 Dollars In Furnishings In This 2 Bedroom, 2 Bathroom Residence. Your Association Dues Are $373 Dollars A Month. That Gives You A Gated Community With A Swimming Pool And A Jacuzzi. Your Insurance And Trash Are Included Too. It's A Taste Of Italy, Huntington Beach Style!!!!! Exclusive Listing, Not In The Multiple Listing Service Yet!!!!! It's Not Just A Three Story Home, It's A Lifestyle!!!! There Are 3 Bedrooms, 3.5 Bathrooms And Approximately 2,640 Square Feet Of Living Space. Amenities Include: A Gourmet Kitchen With Granite Counters, Downstairs Wood Flooring, Crown Moulding, A Wet Bar, Recessed Lighting, Plantation Shutters, A Good Sized Master Suite An Upper Floor Which Accommodates A Library With A Computer Station And Serene Tropical Exterior Landscaping With A Fountain. Relax On Your Roof Top Deck That Comes With A Private Spa For Entertaining Yourself Or Your Guests. There's Even A 2 Car Attached Garage. Just 5 Blocks To The Beach. The Best Del Mar Model Is Ready For You!!!!! 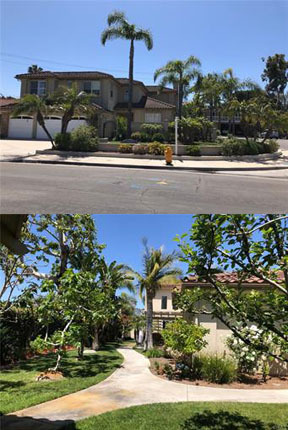 Yes There Is Still A Buildable Lot In The Highly Sought After Desired Numbered Streets In Downtown Huntington Beach, Just 3 Blocks From The Ocean And Walking Distance To The Pier And Shopping. Construct Your Own 2,900 Square Foot 3 Story Home. The Buyer Is To Verify With The City/County/Agencies And Any Information Regarding Well Location, Building, Planning Or Zoning. Plans Are At The City And May Be Aquired Separately. This Is Very Rare For The Area!!!! Hurry!!!! Purchase It Now!!!!! Very Best Price For This Spacious Plan 4 In The New Bel Air Community. There Are 3 Bedrooms, 3.5 Bathrooms And Approximately 2,555 Square Feet Of Living Space. Upgrades Include: Beautiful Neutral Flooring, Additional Lighting With Surround Sound Wiring, Kitchen Aid Stainless Appliances, Granite Counter Tops, Custom Bath Trim In The Baths, The Master Is Designed Very Spaciously With A Separate Jacuzzi Tub./Shower. There Is A Third Floor Loft Which Can Be Used As Your Fourth Bedroom. Enjoy A Beautifully Landscaped Back Yard. You Even Get A 2 Car Attached Garage. Relax In The Community Swimming Pool, Spa, Cabana, Barbecue And Lots Of Guest Parking Adjacent To The Property. Walk To Peter Green Park. It Is Currently The Best Priced Plan In This Association!!!!! From The Cambria Collection Is This Lovely Sandpiper Model That Features 4 Large Bedrooms (One Of The Bedrooms Is On The Main Level With A Bathroom). There Are 3 Bathrooms And Approximately 2,900 Square Feet Of Living Space. Amenities Include: 3 Fireplaces, A Built-In 220 Gallon Salt Water Aquarium Positioned Between The Dining Area And The Family Room For Viewing Each Room, Recessed Lighting, Ceiling Fans, A Large Kitchen With Pull-Out Drawers, A Center Island, A Garden Window And A Spacious Walk-In Pantry. The Tropical Paradise Backyard Has A Salt Water Swimming Pool , As Well As A Spa Grotto With A Waterfall. You'll Like Those New Exterior Accents Which Were Just Repainted. Situated In A Cul-De-Sac Location Just Steps To Smith Elementary, Dwyer Junior High And Huntington Beach High School. Here Is Your Opportunity To Own A Magnificent Front Row View At Crystal Cove. This Is Only The Best With Ocean Views At All Levels. There's Even A 12 Minute Walk To The Beach. Many Upgrades Exceed $150,000 By The Seller And Builder Which Include Tropical Landscaping, Ledgertone, A Serene Fountain And Copper Accents. You'll Like The Large Kitchen With A Breakfast Bar And Custom Cabinetry In Addition To A Sub-Zero And Viking Appliances, Granite Counters And Etcetra. Your Bonus Is 2 Built-In Entertainment Centers And A Third Floor Master Retreat With Expansive Ocean Views. The Downstairs Has 2 Bedrooms, A Bathroom As Well As An Activity Room. Enjoy Your 2 Car Attached Garage. Think Twice, It's Paradise Year Around Here!!!!! Views!! Views!! Views!! This Is The Last Available Of A Series Of New 2005 Oceanfront Estates Between 16th And 17th Street. The Spectacular Ocean Front Custom Three Story House Has Approximately 4,000 Square Feet Of Living Space With 4 Bedrooms And 4 Full Bathrooms. The Third Floor Is All A Master Suite. The Sound Engineered Walls And Dual Glazed Windows Give This Property Lots Of Excitement. The Kitchen Features Thermador Appliances, A Custom Stone Hood, A 4 Car Attached Tandem Garage, An Extra Long 22' Driveway, A Private Elevator And 2 Staircases That To All Of The Levels. It's Top Of The Line Everything Here. This Is Extra Long At 185 Feet. The Real Value For New Construction Is Within!!!!! RE/MAX SELECT ONE CURRENTLY OFF OF THE MARKET!!!!! Beautiful Landscaping Is Just One Of The Many Features That This Two Story Prestige Home Has. It Is In A Quiet Interior Tract Location. There Are 4 Bedrooms, 3 Bathrooms And Approximately 2,291 Square Feet Of Living Space. Amenities Include: A Wonderful Kitchen With Granite Countertops, Newer Kohler Fixtures, GE Built-Ins, A New Double Oven, Dual Paned Windows, A Gorgeous Built-In Spa With Newer Equipment, Scraped Ceilings And Bullnosed Corners Downstairs. You Also Get A New Refinished 2 Car Attached Garage And A Newer Roof. Close To Shopping, Restaurants, Award Winning Schools, Churches, The Beach And Freeways Too. Pride Of Ownership Prevails In This Charming House!!!! Where Else Can You Find A 2 Bedroom, 2 Bathroom Condo This Close To Downtown Huntington Beach With Master Size Bedrooms For Under $450,000? This Is A Top Level End Unit In A Choice Complex. Amenities Include: Approximately 970 Square Feet Of Living Space, Vaulted Ceilings. You Can Easily Add A Multi-Use Loft. There's Even Inside Laundry With This Plan,. In Addition To That There Is 1 Carport And 1 Parking Space. Best Of All You Are In A Gated Community With An Association Swimming Pool And Spa. This Would Be Wonderful For An Investment Or An Exchange!!!! Wonderful Is The Word That Best Expresses This Tri-Level 5 Bedroom, 3 Bathroom Home With A Main Floor Master Bedroom And A Large Walk-In Closet Which Extends The Length Of The Room. You Also Get Approximately 2,400 Square Feet Of Living Space. Amenities Include: Nice Woodworking Throughout Including A Wood Fireplace And Custom Mahogany Paneling, An Updated Kitchen Which Has Granite Countertops As Well As A Way Through To The Swimming Pool And Spa. The Bathrooms Have Custom Tile, Granite And Extra Tall Glass Enclosures. A Three Car Attached Garage Is A Great Feature As Well. The Location Is Very Private As You Have No Neighbors Behind You!!!! Close To A Family Park, A School And Mile Square Park. We're Motivated To Get This Property Sold Now!!!! This Brand New, Never Lived In, New Construction Plan 4 Home Has One Of The Best Locations In Bel Air Backing To The Wonderful Peter Green Park. The Three Story House Has 3 Bedrooms, 3.5 Bathrooms And Approximately 2,555 Square Feet Of Living Space. Amenities Include: Berber Carpet And Ceramic Tile Upgrades, All Stainless Steel Appliances, A Granite Counter Top And Upgraded Cabinets In The Kitchen. The Master Suite Has A Wonderful Spacious Bathroom With It's Own Separate His And Hers Sinks, A Jacuzzi Tub And A Shower. Your Bonus Is A Large 3rd Floor Den Which May Be Used As A 4th Bedroom. Each Bedroom Is At The Second Level Of The Property And They Have Their Own Private Bathroom. The Best Thing Is That This Is A Private, Gated Community That Has An Association Swimming Pool And Spa. It Is Truly A Must See!!!! What A Value For The 2nd Block And 3 Minutes To The Market!!!! You Are Greeted Into This Home With A Large Front Patio With A Firepit. This Very Spacious 3 Bedroom, 1.5 Bathroom Property Has An Approximate Total Of 2,500 Square Feet Of An Open Floor Plan With An Extra Wide 2 Car Attached Garage. It Has All Just Been Remodeled With A New Roof, Carpet, Interior And Exterior Paint, A Staircase, Stone Accent Bathrooms, Mirrored Wardrobes, A Microwave And Etcetra. The Front Room Has A New Slider That Leads To The Large Private Deck. There's A Separate Master Suite Which Accompanies A Retreat And A Large Bright Bathroom With A Skylight. Enjoy Relaxing On The Great Upstairs Top Deck For Entertaining With A Peek-A-Boo Ocean View!!!! What More Could You Want. This Residence Has It All And More. Welcome To The Largest Open Floor Plan In The Pacific Ridge Breeze Subdivision And It Backs To The Greenbelt. This, Spacious And Bright 2 Story House Comes With Cathedral Ceilings, Custom Solid Hand Distressed Cherry Wood Floors Throughout And An Original Fourth Bedroom That Can Be Converted Back If Requested. The Master Suite Has His And Hers Walk-In Closets. Enjoy The New Paint Throughout The Interior And Exterior Of This Property. There's An Entertainer's Backyard With A Firepit, A Large Grass Area And A Covered Sandbox. A Total Of 4 Bedrooms, 2.5 Bathrooms And Approximately 2,062 Square Feet Of Living Space Accommodate This Residence. Park Your Vehicles In The 3 Car Attached Garage. Best Of All You Get A View Of The City Lights, The Canyons And Some Mountains. It's Located Just 3 Miles To Laguna Village And Half A Block To The Park!!! You're In For A Real Treat!!!! Here Is A Wonderful Tropical Paradise Two Story Home With A Dramatic Waterfall And A Koi Fish Pond. There Are 3 Bedrooms, 2 Bathrooms And Approximately 1,400 Square Feet Of Living Space In This Sensational House. You Even Get 3 Covered Patio Areas. Enjoy The Lush Landscaping. This Magnificent Pie Shaped Lot Is Located On A Cul-De-Sac And It Has Recreational Vehicle Access And Boat Parking On Both Sides. The Upstairs Master Suite Can Be Easily Added On To For Some Additional Square Footage. What A Very Private Property. Featuring A Newer Dishwasher And A One Year Old Roof. Park Your Cars In The 2 Car Attached Garage. Walk To Award Winning Marine View School And To The Bolsa Chica Wetlands. There Are So Many Reasons Why You Should Buy This Residence!! The Private Guard-Gated Bluffs Community Is Huntington Beach's Hidden Jewel Against The Bolsa Chica Wetlands. This Is An Elegant Two-Story Custom Quality Home With Approximately 4,300 Square Feet Of Living Space That Accommodates 4 Bedrooms And 4.5 Bathrooms. Each Room Features Its Own Bathroom And Balcony. Park Your Cars In The 2 And 1 (3) Car Attached Finished Garage With Custom Organizers. Relax While Looking At Those Spectacular 180 Degree Views Of Catalina, San Pedro, Long Beach, Downtown Los Angeles And The Mountains. Other Amenities Include: An Alarm System Throughout The Home (Windows And Motion Sensor) With Visual Front Entry Viewing From Upstairs And Downstairs, A Calagon Soft Water And Drinking Water System, Two Central Air Conditioning And Heating Units, An Air Purification System With Controls On Both Floors, Two 40 Gallon Water Heaters, Thick Crown Molding Throughout, A Central Vacuum System, New Exterior Paint, Custom Quorom Fans Throughout The House, 50 To 70 Feet Between The Neighboring Homes, 3 Fireplaces (2 Marble, 1 French Tile), Low-E-Energy Efficient Dual Pane Windows Throughout, Automatic Retractable Shades Throughout The Rear Of The Home Up And Downstairs And Professional Paintings And Art Work On All Walls Throughout. The First Floor Features Include: A Rare Blue Pearl Granite Throughout The Kitchen, Bar Areas And The Entry, Marble And Blue Pearl Granite Flooring, A Gourmet Kitchen With An Extra Wide Double Oven, A Microwave, A Dishwasher, An Extra Large Pantry, A Trash Compactor And A Huge Kitchen Island. The Viking Range Comes With A Gourmet Heating Hood. Check Out That Custom Extra Large Chandelier In The Entry With Matching Scones. (Pictured In Photo 2 To The Left). The Downstairs Bedroom/Office Comes Equipped With A Full Bathroom. There Is An Additional Downstairs Bath With Wainscoating Woodwork. The Open Formal Dining Room Has Large Windows That Capture The Great Bolsa Chica Wetlands View. Make A Drink In The Bar Area That Has A Large Wine Cooler With It. There Are Soaring Ceilings With Crown Moldings Throughout The Home. The Second Floor Special Amenities Include: A Grand Master Suite With A Retreat And Balcony With Sunset Views Of The Coast. The Master Bathroom Features Two Large Walk-In Closets, An Extra Large Jacuzzi Tub With Jets And A Shower With Dual Shower Heads. There Is Also A Large Second Floor Bonus Room And An Extra Large Laundry Room. The Dual Desk Study Center Has A Large Bookcase And The Master Suite Balcony Offers Sunset Views Of The Wetlands And The Park. Close To Outstanding Schools,. Such As Seacliff Elementary!!!! You Can Buy This Palatial Showplace Property Now!!!! Encounter A Full Ocean View With No Obstructions From All Floors Of This New 3 Story Custom Home That Features 4 Bedrooms, 4 Full Bathrooms And Approximately 4,000 Square Feet Of Living Space. Amenities Include: A Private Elevator That Leads To All 3 Floors, 2 Staircases At Each Side Of The House, Dual Pane Windows, Low-E Oversized Sliding Doors With 3 Spacious Decks For Viewing, 3 Custom Fireplaces, A Custom Solid Stone Mediterranean Kitchen Hood, Granite And Rock Stone Accents Throughout And A 4 Car Attached Tandem Garage. The First Floor Features: A Living Room, A Guest Bedroom With A Full Bathroom, A Porch, A Garage Entry, A Private Courtyard And An Elevator Base. The Second Floor Features: A Second Bedroom With A Private Viewing Deck And A Full Bathroom. The Third Bedroom Also Has A Full Bathroom. There's A Laundry Room, An Office/Library, A Kitchen With A Large Granite Center Island With An Uline Wine Chiller, A Warming Drawer, Custom Maple Cabinets, Thermador Double Oven/Stove With 6 Burners/Grill And Accommodating Solid Stone Custom Mediterranean Hood. Other Features Of The Kitchen Include A 48" Thermador Refrigerator With Ice And Water And A Bosch Dishwasher And A Microwave. Enjoy The Combination Living, Dining And Family Room That Offers An Open Floor Plan With Sprawling Ocean Views From The Kitchen And The Oversized Balcony. The Third Floor Features: An Ocean View Master Suite With A Full Viewing Deck And A Large Walk-In Custom Designed Closet With Double Sided Wardrobe Mirrors. The Master Bathroom Features A Romantic Tumble Marble Shower With Steam And Dual Showerheads, A Large Bathtub With A Jacuzzi, Granite Or Marble Counters Accommodating Custom Maple Cabinetry, Double Sinks, Skylights, Cabinets And Mirrors Galore! Other Features Include An Office/Study, Built-In Cabinets, A Built-In Uline Refrigerator And An Elevator With Stairs In The Back. What More Could You Want? This One Has It All!!!! Absolutely Fabulous Are The Words Used In Describing This Magnificent Oceanfront Mansion On A Corner Lot With Sprawling Ocean Views Of The Huntington Pier, Catalina And Upper Decks At An Open Outside Terrace. 2 Units Accommodate The Front House With Separate Meters On This Double Lot. Each Unit Has It's Own Garage With An Elevator At The Garage Level Of The Main House. More Than $800,000 Dollars Was Spent On The Recent Remodel Which Makes This Property In Move In Condition. Extensive Wood Work Can Be Found Throughout. The Front House Has 5 Bedrooms And 4.5 Bathrooms. Unit B Has 3 Bedrooms and 2.5 Bathrooms.The Lower Unit Has 1 Bedroom And 2 Bathrooms. The Overall Interior Square Footage Is Approximately 6,819 Square Feet. Steps To The Beach And Just A Short Walk To Main Street For Shopping, Dining And Entertainment. Wonderful Is The Word That Describes This Sprawling Seacliff Home On A Very Large Oversized 9,100 Square Foot Lot. This Recently Painted Home Has 4 Bedrooms, 3 Bathrooms, Approximately 2,800 Square Feet Of Living Space. A 3 Car Attached Garage, An Expansive Front Courtyard And Separate Quarters At The Back Which Accommodates A Theraputic Spa, An Adjoining Bathroom, A Bar Sink And A Refrigerator. The Master Suite Has 3 Closets And A Walk-In Closet. There's A Nice Executive Office Which Has A Custom Bamboo Built-In Bar Marble Counter Top And Bookshelves. The Office Can Be Converted Back Into A 5th Bedroom. Enjoy The Expansive Back Yard That Is Great For An Addition And A Rare Find With Mother-In-Law Quarters In Seacliff. Walk, Jog Or Bike To The Beach!!! Close To Seacliff Country Club Too!!!! In An Award Winning Area!!!! Gorgeous is the Word that Best Describes this Franciscan Fountains Home. This House has an Incredible Recent Remodel on the Inside and Outside. There are 4 Bedrooms and 2 Bathrooms. Spectacular Highlights include a Fabulous Gourmet Kitchen with Stainless Steel Appliances, Granite Countertops and Maple Cabinets. 20' Tile can be found on the Diagonal with a Granite Inlay in the Entry, Kitchen, Dining Room and Bathrooms. Also included are Smooth Textured Ceilings with Recessed Lights. Enjoy the Newer Crown, Floor and Chair Moldings. There's also Faux Painted Walls. The Newer Bathrooms have Maple and Cherry Cabinets plus Granite Countertops. A Solar Heated Black Bottom Swimming Pool has Solar Heating and is Perfect for Entertaining. You also get a Glass Shower with Matching Tile Floors. Newer Dual Pane French Doors and Windows come with this Showplace too. There is a Nice Living Room with a Bay Window. The Marble Fireplace and a Custom Wood Mantle are Great Features. There's also Newer Carpeting plus a Newer Tile Roof. The Backyard also has a Custom Stainless Steel Barbecue. You even get RV Parking with a Gate. Located Near the Beach, a Library and Schools!! An Entertainer's Delight Prestige Pool Home is Waiting For You. There are 4 Bedrooms, 2.5 Bathrooms and Approximately 2448 Square Feet of Living Space. Enjoy the Many Upgrades from the Remodeled Kitchen, to the Corian Countertops. There's a Downstairs Bath,. The Porcelon Tile Flooring, Painting and Carpet was installed Last April. Relax in the Sprawling Backyard which has a Custom Built-in Barbecue, a Large Fountain, a Swimming Pool and Spa. You also get a Newer Roof and a 3 Car Attached Garage. Located in an Excellent Neighborhood Near the Bolsa Chica Wetlands, Schools, Meadowlark Golf Course, Shopping and Dining!! PLEASE BE SURE TO MENTION TO LISA THAT YOU SAW HER WEBPAGE ON CALCOASTHOMES.COM! !